The CDIA+ (Certified Document Imaging Architect) Certification confirms a technician's expertise in the technologies and best practices used to plan, design, and specify a document imaging and management system. 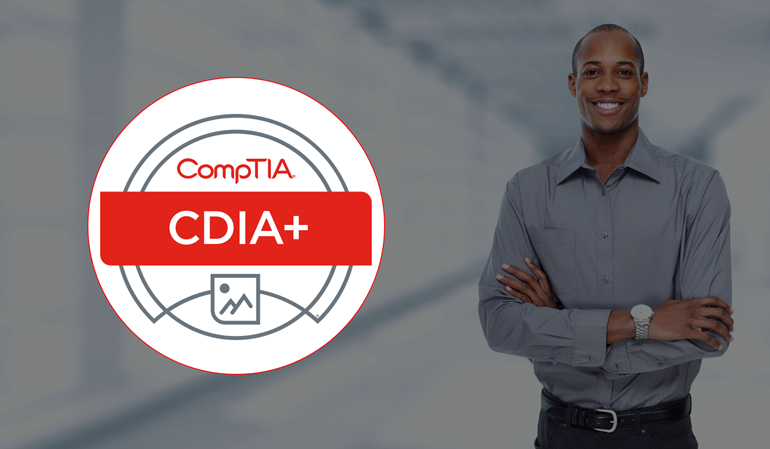 The CompTIA CDIA+ Certification Training Course from is delivered by some of the industries top instructors in computer diagnostics, repair, assembly, and maintenance. Students will learn the skills necessary to excel in the knowledge management and document imaging industry. eLearning's CDIA+ training course follows the CompTIA authorized curriculum, ensuring you receive the training and knowledge needed to succeed.